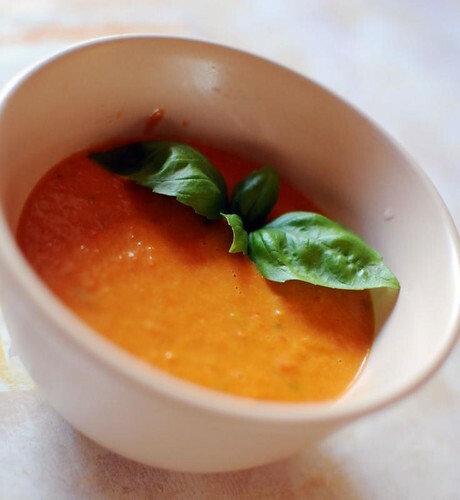 Blend the soup until smooth - I use a stick blender. Add the cream. Season with salt and pepper. 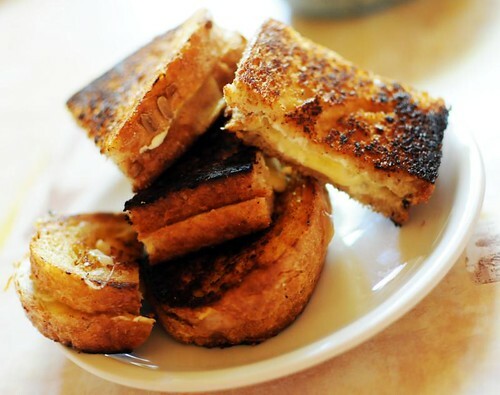 Serve with more fresh basil if you'd like, and grilled cheese sandwiches. I made yummy ones with cream cheese as well as regular sharp cheese that melted when I fried them in a little butter. I just made your Summery Soup. It was very good. It was a little like a ragu, but more subtle on the bell pepper and smoother because of the cream.